Supernatural Mystery Adventure Drama - As Seen On TV Theme Week - Polish This! This week went by quite fast since it already the end of the As Seen On TV theme week and time for the last manicure. I also included a collage of all the manicures I did for this week, so be sure to check out the end of this post too if you want to see a little recap of this week. But first, we have still today's manicure left. Our theme today is Supernatural Mystery Adventure Drama. What you say? Yeah, I think there's only maybe couple series that would suit that category and we were really aiming towards one specific show as we both, me and Mirka, really wanted to do a mani inspired by this series. Of course I'm talking about the one and only Lost! I really wanted to do this manicure for so long and I finally had the perfect opportunity to do it! My inspiration for this was of course the series it self and the setting: the island, the sea and the sky. I took some guidelined from some of those Lost promo pictures, but I still tried to make it look at least somewhat as my own design as I didn't want to (and also probably didn't know how to) copy directly those pictures. 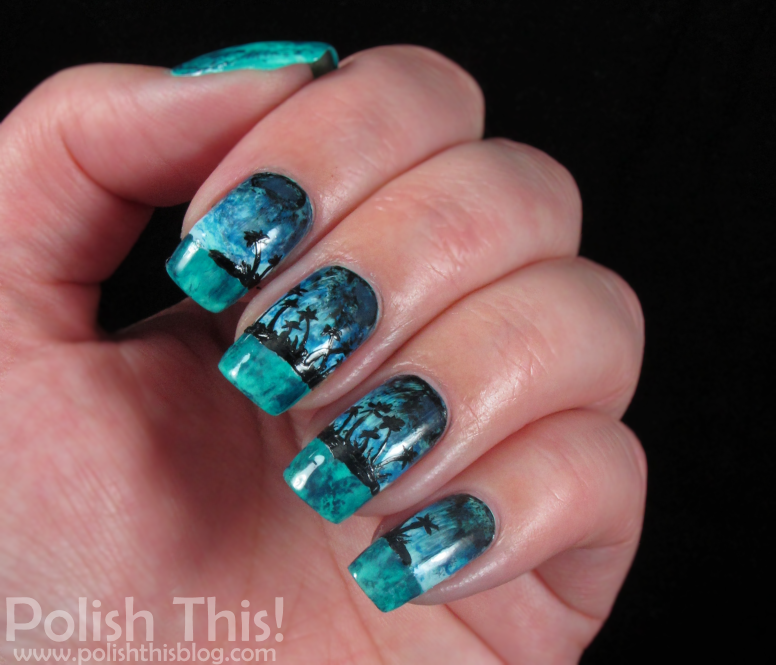 I did the sea and the sky using saran wrap technique and several different polishes. I actually started this whole manicure by painting my nails with one coat of Color Club Blue-Ming. Then I taped my nails in order to do the sea first and I used Layla Softouch Effect 09, Zoya Natty and Dance Legend Aquarelle Top Coat Sisley. After it was completely dry, I then again taped my nails this time from the bottom and started doing the sky with the same saran wrap technique and Zoya Blu, Ling and Natty as well as a bit of Essie Licorice to get that dark feeling going on. 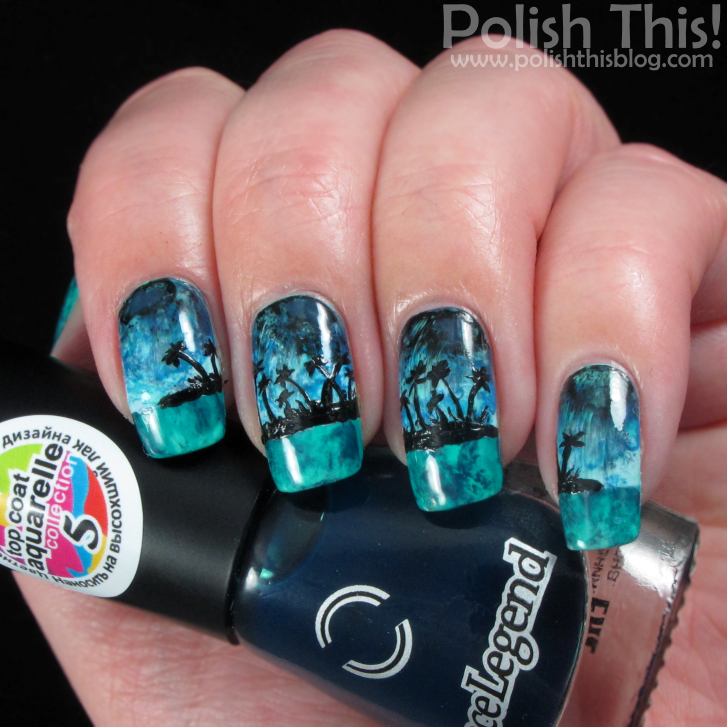 Finally I just painted the island and the palm trees with Essie Licorice and tiny nail art brush. Like I said, I'm really happy that I finally got the chance to do this manicure! I can't believe I haven't done any Lost related nail art before. It was truly one of my favorite series when it was still on and it's still somewhat special show to me. So that's that, the final manicure of this As Seen On TV theme week! I think this was quite a fun experience and it was really great to finally got to do some manicures that I have had in my mind for quite a while. 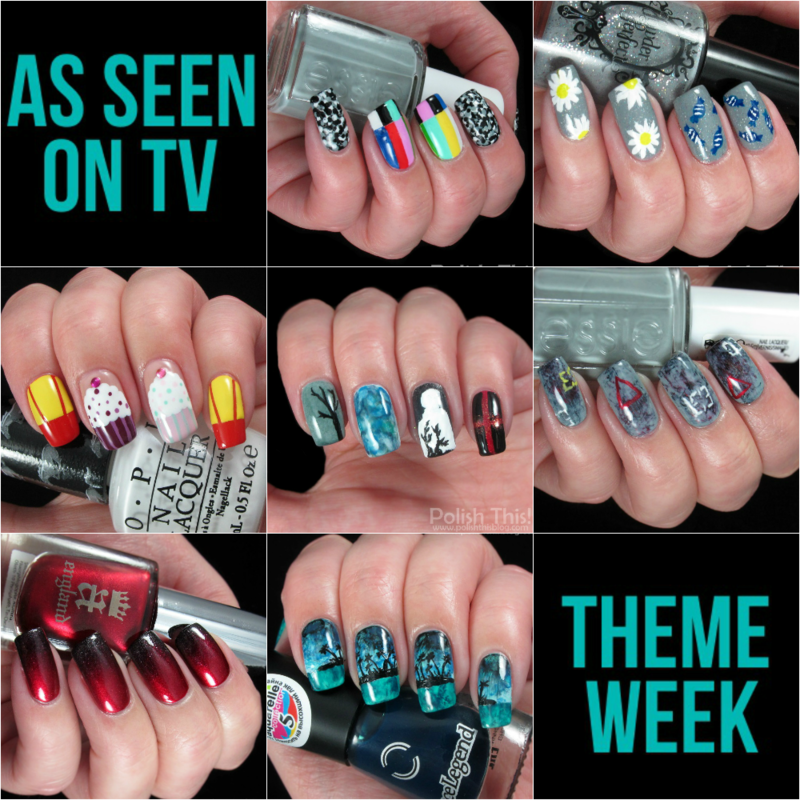 It was also really fun to see every mani that Mirka did for this week, to me these kind of theme weeks seem best if you share them with someone. So thanks again to Mirka for the great idea and for having me to participate this theme week also! I had lots of fun and I hope you all had too. 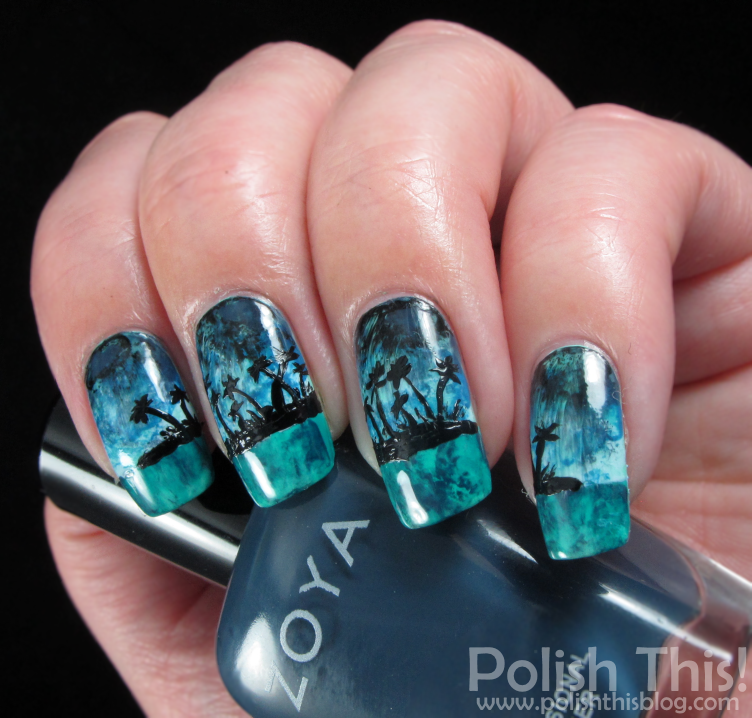 Did you guys enjoy this theme week and which one of my manis was your favorite? And how about Lost, did you watch it? Offtop: where do you get Dance Legend?